Fred Sokolow Jazz Standards for Beginners. If you love old standards like Autumn Leaves and Moonglow, but always thought only advanced guitarists could play jazz, you’ll love Fred’s easy-to-play jazz chord solos. In this lesson, you’ll learn six timeless tunes from start to finish: how to play backup while you sing them, and how to play a beautiful chord melody solo/instrumental for each song. The tunes are arranged for beginners, with very few difficult chords. Fred plays and sings each song, then goes over the tricky spots in each tune before playing it slower, on a split screen with close-ups of both hands. Best of all, you can read all six arrangements (tablature, music and chord grids) in the booklet that comes with this lesson as a PDF file on the DVD. Chord soloing (playing the melody and chords at the same time) is a very complete and satisfying guitar style. 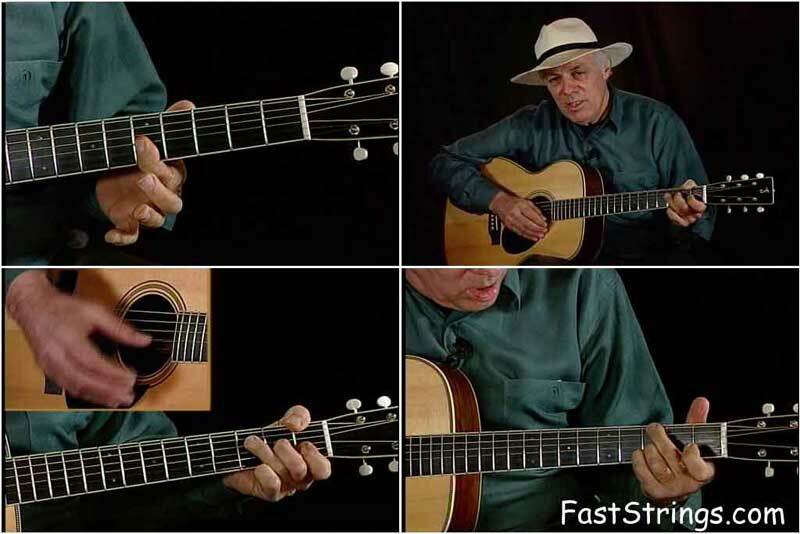 This lesson will get you started and Fred’s relaxed teaching style makes it easy.